Stable braking with virtually no fading, excellent downhill performance. CSA Scores - No slack adjusters, eliminates out-of-adjustment concerns. Increased driver comfort - Braking feels more like that of a passenger car. Less Downtime - Significantly longer service intervals. Ease of serviceability - less than half the time to perform a lining change. 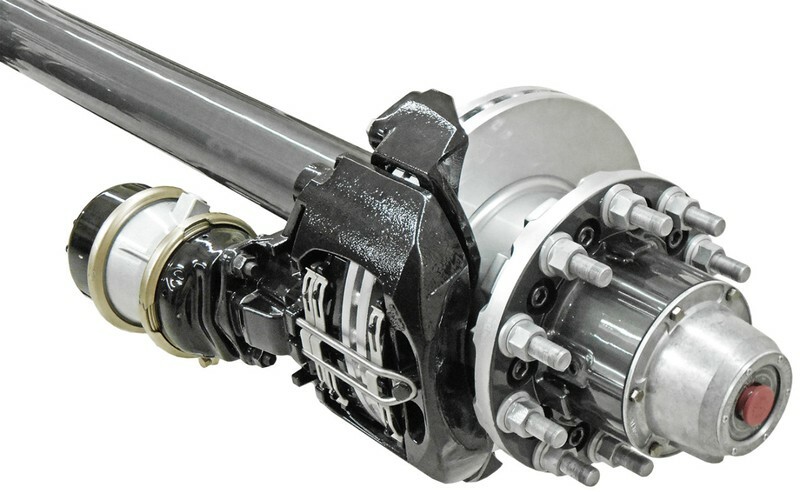 Designed and manufactured by industry experts, AXN axles deliver unsurpassed strength and durability. AXN axles are available in a variety of specifications, designed to fit your particular requirements. Special order, non-standard tracks are available to meet your needs. 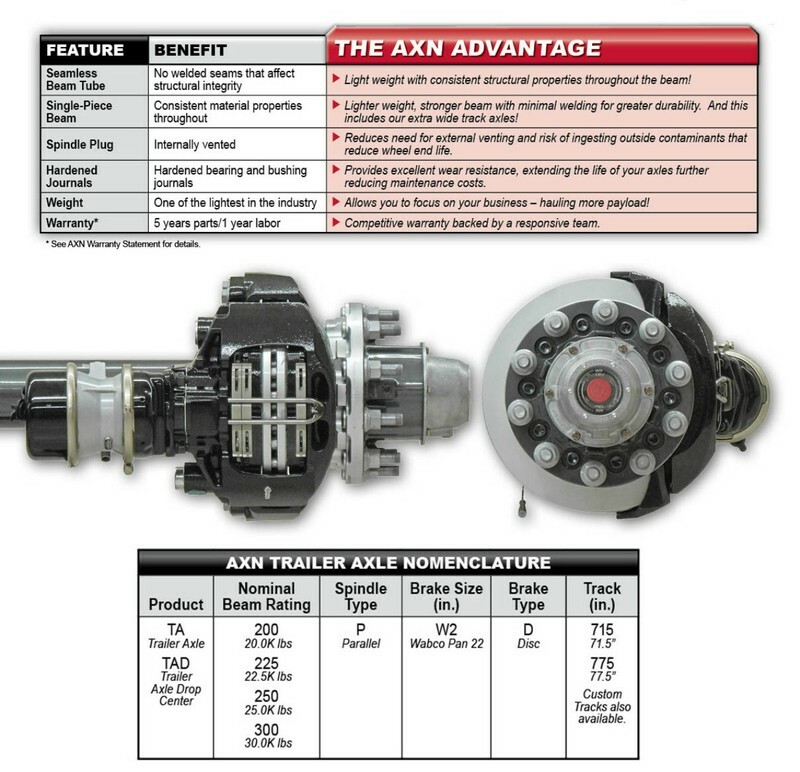 AXN axles are backed with a competitive 5-year* warranty.